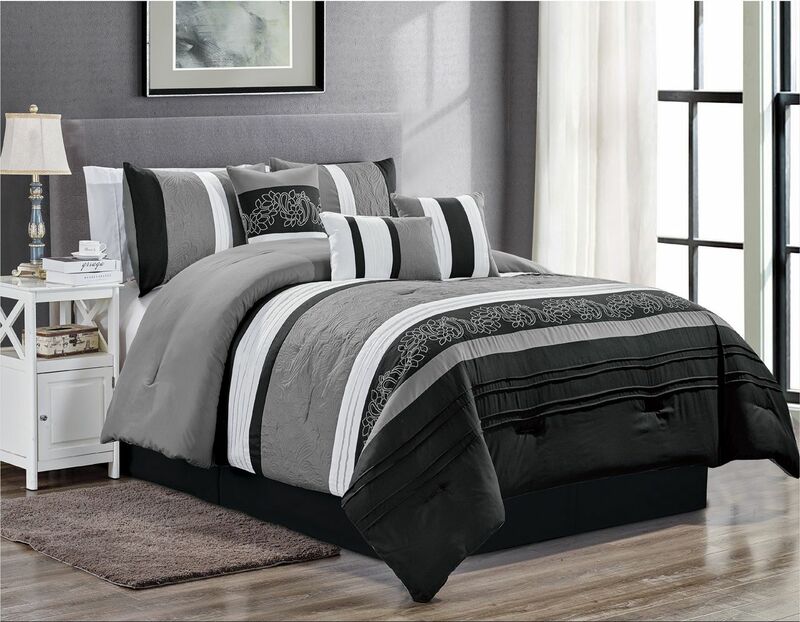 Give your bedroom a fresh look with this Hazel comforter set. Decked out in embossed floral pattern and pleating details on pierced ground, this bedding set will add an elegant style to your room decor. 3 decorative pillows included.